Brin' out ye tattered eye patch 'n ye barrel 'o spiced rum, this day be th' day fer we band 'o pirates to speak out loud. Wondering what’s this gibberish all about? Gather around me landlubbers, we got to tell you about the most scurviest day of the year. 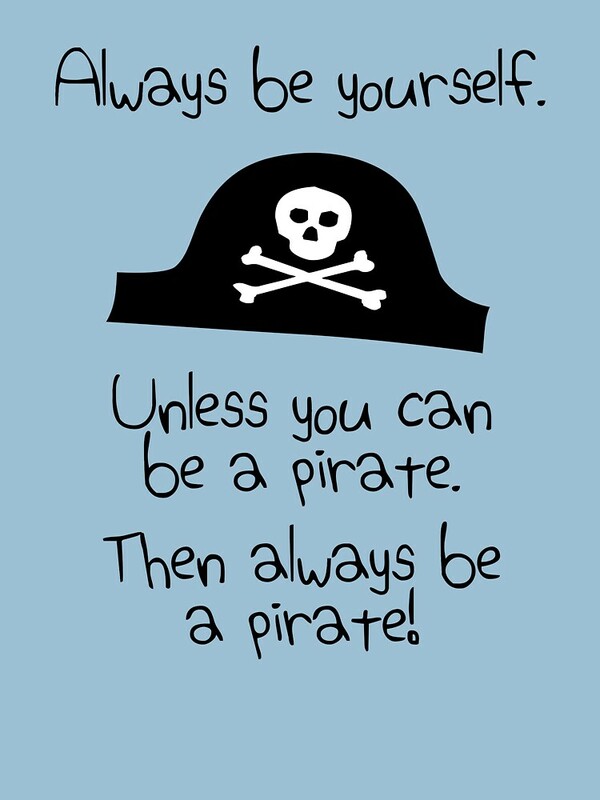 Today, September the 19th is celebrated as ‘Talk Like a Pirate Day’. And it’s not something we just came up with. It’s an official observation recognized worldwide with a super vague story that led to it all. It all began back in 1995 when John "Ol' Chumbucket" Baur and his mate Mark "Cap'n Slappy" Summers impulsively started hurling pirate insults at each other. After a rather fun exchange it only seemed logical that they establish a particular day where everyone could talk like pirates. And voila, this day was chosen, as it also happens to be Summers’ ex-wife’s birthday which made it easier to remember it. All this remained as an inside joke between the two friends until they sent a letter about this made-up holiday to humour columnist Dave Barry. He promoted this idea in a 2002 column for the Miami Herald and it just took off on the internet, where ‘Talk like a Pirate Day’ became a real thing and has been since then. Joining the rest of the pirate enthusiasts online, we’ve decided to do our part and have a ton of fun in the bargain. 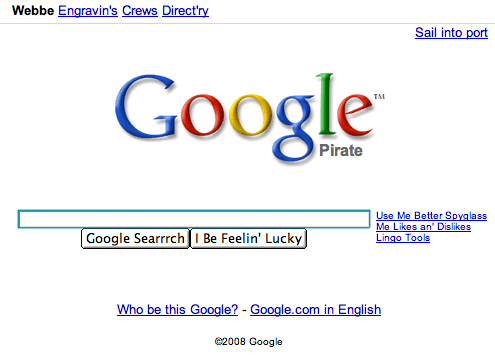 Here’s how we’re gonna talk like a pirate today. John Frank or whatever your name is doesn’t quite have a pirate ring to it. Get a real pirate name and share it with all your mates so they can swear better at you. Try this Pirate Name Generator to find the perfect pirate name before ye’ sail the high seas. Now that your pirate game is going strong, time to have some fun. Log on to Facebook, head to settings and change your language to “English (Pirate)”. And ahoy, Facebook will now speak to you in pirate.